While volunteering at the old Town Lake Animal Shelter, veterinarian Ellen Jefferson saw too many animals killed. “It didn’t feel like I was making a big impact,” Jefferson says. “But I felt like if I could stop the inflow, fewer would come into shelter, so more could go out alive.In 1999, Jefferson founded Emancipet, a nonprofit group which spays or neuters animals. By the time she left the group — which keeps growing without her — they were performing 16,000 surgeries a year, mostly from a roaming clinic. That superhuman feat, however, didn’t make the expected impact on the number of animals euthanized at the city’s shelter. So in 2008, Jefferson — uncommonly calm and measured for an animal welfare activist — reactivated Austin Pets Alive, a group dedicated in 1997 to saving more shelter animals, 50 percent of which were being killed. 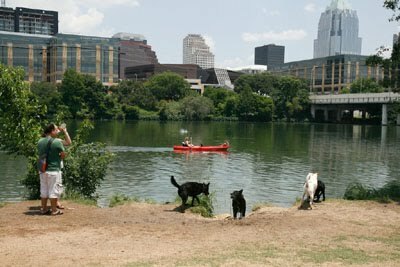 Austin Pets Alive, in concert with scores of smaller rescue groups, has, by targeting specific animal groups, put the Austin save rate above 90 percent, the only large city in the country to do so. Jefferson, whose group now works from the old shelter as well as pop-up adoption centers, believes the save rate can be driven up to an almost inconceivable 98 percent.